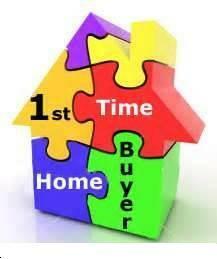 Help for Northeast Florida First Time Home Buyers: They’re Out There! As the end of 2014 approached, the National Association of Realtors® was able to come up with some general observations on the makeup of the current market—facts that anyone expecting to deal with Northeast Florida home buyers in the coming year should find useful. With consumer attitudes showing improvement across the board, you might have expected that all segments of the home buying public would have shown increased activity. Not so. We don’t tally separate statistics on Northeast Florida’s first time home buyers, but there’s no reason to suspect our buyer profiles wouldn’t reflect the same trend. But there’s some good news, too. Help may on the way. The reasons first-timers have been having a hard time was addressed by Dr. Lawrence Yun, NAR’s chief economist. He points to obstacles Northeast Florida first-time homebuyers are likely to face—many of them connected with the rising difficulty young people have in saving for a down payment. Rising rents plus student debt and auto loan payments combine with stagnant wage levels to cramp savings growth. Added to that, the cost of mortgage insurance for Federal Housing Authority-insured loans have been rising. In 2010, 56% of first time home buyers used affordable FHA loans to purchase their home; by 2014, that number had dwindled to 35%. That sounds like daunting news for many aspiring Northeast Florida first time home buyers, but some good news is waiting in the wings. RealtyTrac footnoted a big one. According to data collected by Down Payment Resource, there more 2,300 separate programs are out there to assist buyers with down payments and closing costs. Finding which ones a Northeast Florida first time home buyer might be eligible for is easy: DPR offers online help. Add in recent good news on the economy (job growth in particular) and government efforts to loosen mortgage loan requirements by lowering down payments, and it looks likely that 2015 will find more first timers crossing the threshold to their first home. I hope it is the wave of the future—and I’m standing by to help make it happen!